Below you can view all the homes for sale in the Sylvan subdivision located in Atlanta Georgia. Listings in Sylvan are updated daily from data we receive from the Atlanta multiple listing service. To learn more about any of these homes or to receive custom notifications when a new property is listed for sale in Sylvan, give us a call at 404-998-4063. 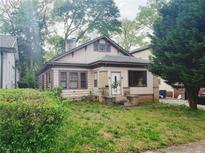 Walking Distance To Lakewood-Fort Mcpherson Marta Station And Close To The Atl Airport And Beltline MLS#6539217. Re/Max Metro Atlanta Cityside. Great First Home Or Investment Flip!! ! MLS#6536694. Keller Williams Realty Intown Atl. Located In Super Hot Sylvan Hills, Min To Beltline, Downtown, I85/I75 & Airport MLS#6534008. Palmerhouse Properties. Plans For The Duplex Are Available To View. 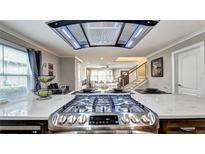 MLS#6534399. Virtual Properties Realty.Com. So Many Possibilities!! Come See For Yourself! MLS#6534282. Exp Realty, Llc..
Perkerson Park Is Less Than 1 Mile Away And A Beltline Entrance Is Just Over A Mile Away. MLS#6531687. Engel & Volkers Buckhead Atlanta. Half Mile To Marta Station, Walking Distance To Perkerson Park Featuring A Splash Pad And Epic Disc Golf Course, And A Stone'S Throw From Adair Park, Historic West End, And Capital View. MLS#6530219. Keller Knapp, Inc..
Large Private Backyard For Star Studded Evenings. MLS#6530748. Palmerhouse Properties. New Hardwoods, Cabinets, Roof, Windows, Doors, Fence, Gutters, And More! MLS#6528454. Exp Realty, Llc..
Close To I-75/I-85/I-20 - The Pittsburgh Yard, Beltline, Downtown, Midtown, Marta & Hartsfield Jackson Airport!! You Must See To Appreciate! MLS#6525465. Virtual Properties Realty.Com. Your Time Had Arrived. Buy Now! ! MLS#8550264. Bhgre Metro Brokers. Renovated 3/2 Ranch In Sylvan Hills.Hardwood Floors Throughout,Large Renovated Kitchen W/New Stainless Steel Appliances,Custom Built Cabinets W/Tons Of Storage,Granite Counter Tops.Large Master Suite W/Renovated Bathroom&Walk-In Shower.Nice Supporting Bedrooms W/Renovated 2nd Bath.New Architectural Shingle Roof,Recently Replaced Water Heater,New Hvac System.Nr To Beltline,Hwy(75/85/I20)Access,Shopping/Restaurants,Schools.Qualifies For Up To 40K In Downpayment Assistance For Qualified Buyers.Close To Perkerson Park&Soon To Be 20Acre Mixed Use Development W/Shops,Townhomes,Condos&More MLS#6517337. Engel & Volkers Atlanta. Finish Your Basement Later And Gain Equity! MLS#6513307. Robby Caban Realty, Llc. Two Bedrooms And Hall Guest Bath. MLS#6512160. Palmerhouse Properties. Large, Leveled Backyard With Detached Garage With Opener. Minutes From Belt Line. MLS#6511801. Keller Williams Realty Cityside. New Hvac, New Water Heater And Many Others... (Square Footage 1550 Has Not Been Updated ) ***This Home Qualifies For A 100%Finance Loan And Comes With 1 Year Home Warranty. *** MLS#6511168. Atlanta Communities. Close To Beltine, Freeways, And Atl Airport MLS#6510376. Re/Max Metro Atlanta Cityside. Don'T Miss Out On This Amazing Investment Opportunity! MLS#6508679. Keller Williams Realty Partners. Commute No More, No Hoa! Enjoy. MLS#6507975. Robby Caban Realty, Llc. Home Also Features A Home For Chickens In The Privately Fenced Backyard And Extra Storage In The Basement And Shed. MLS#6505314. Palmerhouse Properties. Priced In The Lower End Of Comparable Houses, This Home Leaves Room In A Budget To Make It Perfect For You! MLS#6504115. Keller Wms Re Atl Midtown. Large Backyard With Shed Roof Looks Good. MLS#6504167. Housepad. New Everything Includes; Cabinets, Granite Countertops, Light Fixtures, Plumbing, Rewired Throughout, Hardwood Floors, New Paint In/Out, Brand New Paved Driveway And The List Goes On! Move In Ready! MLS#6503307. Re/Max Advantage. Yankee Basement, Ample Parking With Driveway And Parking Pad. MLS#6501702. Palmerhouse Properties. This Is The Perfect Opportunity To Buy With Instant Equity! Home Sold As-Is. MLS#6502082. Palmerhouse Properties.